Given my entry about Rio’s problems preparing for the World Cup 2014 and the Olympics 2016, I cringe to think about World Youth Day in Rio this July. One huge test of Rio’s capabilities and preparation for the world’s great sporting events will come this summer when Rio hosts youth and young adults at the Catholic WYD, certain to have hundreds of thousands more attendees now that Pope Francis of Argentina will be coming. 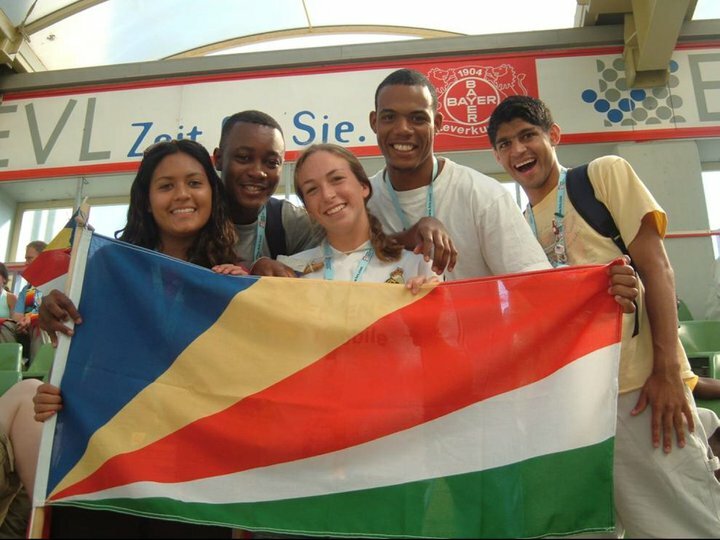 Organizers anticipate some 3 million pilgrims descending on the city for WYD 2013. 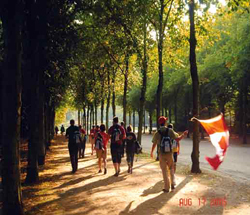 Given my experiences with enormous crowds and the complete shut-down of the lauded German transportation system during the Cologne WYD 2005 (shown below; those are people in the pictured grid, 1 million of us), I am concerned about what the youth will face in Rio, with its violence and high crime rate, congested public transportation, and general lack of blueprint for handling enormous crowds (other than just letting them run wild). I thought, briefly, about volunteering to cover this WYD July 23-July 28 for my former newspaper, but regained my sanity before I could act on the impulse. Lodging for the youth and their chaperones will be “in schools, gyms, military and religious institutions, and parishes.” That means, they will be spread throughout the city, and will have to use public transportation to get to the main venues. Hundreds of thousands of pilgrims trying to navigate a congested city on already-strained public transportation. Especially concerning is the fact that the main Mass and gathering will take place in Guaratiba, in the “western part of Rio,” according to the announcement. The reality is, this site is many miles from downtown Rio, and getting there and back could be a nightmare. In 2005, so many people attended the weekend celebration that the venue ran out of food, even for those who had paid ahead of time for their meals as part of their package. So, we had no food. At several WYD venues, the sanitation points were shut down due to over-use, necessitating the use of fields and other alternative options for nature to take its course. 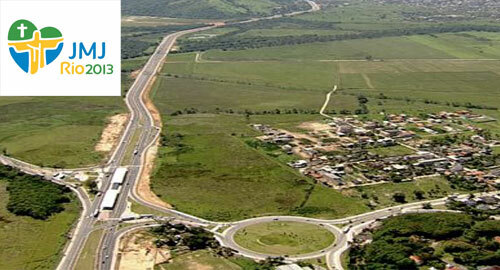 The cited 8-mile walk is not from downtown Rio, but from an unnamed departure point, likely near Barra de Tijuca. From downtown Rio, it’s 53.8 km (almost 33 miles). Whether from downtown Rio, or from the “departure point,” this will not b a jaunt along the beach to the site, but will necessitate walking along the main roads, in the traffic, for hours. Our half-day jaunt of 17 miles from Cologne to the stone quarry where the Mass was held was bad enough, but that was through the city and then out into the fields and forests outside of Cologne. This walk will be a nightmare for anyone who isn’t absolutely fit. And given the number of people I saw in wheelchairs and on crutches and canes in Cologne, I tremble at the thought of these people trying to get around Rio. The shuttle option is a pipe dream. Traffic gets so bad in Rio that local buses can’t move. How will they “shuttle” the millions of pilgrims from one end of Rio to another, through the two tunnels, in any sort of timely fashion? Dream on. It won’t happen. This is the site of the Mass and general gathering on the weekend. Lovely, peaceful, and inviting. But getting there and back will be the problem. I don’t mean to be a Negative Nelly, but these are the facts. And if it sounds like WYD in Cologne was a nightmare, it was. BUT! I’m thankful that I went. It was the opportunity of a lifetime, and my daughter and her friend and our entire group met people from all over the world. THAT is the grace of World Youth Day. 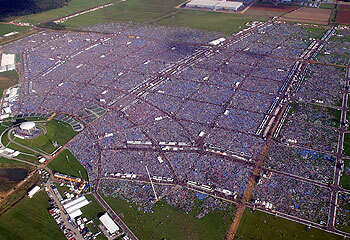 The largest single gathering of Catholics from around the world. It is a life-changing experience. Pilgrimages should be a challenge, but they don’t need to be unsafe. These are youth I speak of, not adults. I sincerely hope that parents and youths look carefully at the venue and the schedule, and do their research about what they will really face in Rio. It certainly won’t be for the faint of heart, nor for the faint of body or mind…despite what the publicity materials say.